Sometimes children struggle with reading comprehension because they don’t know how to read. Please make sure your child has mastered basic reading skills: consonant sounds, long and short vowel sounds, blends, etc. If your student needs to learn to read, I suggest looking at the Explode the Code series. It also covers some basic reading comprehension. 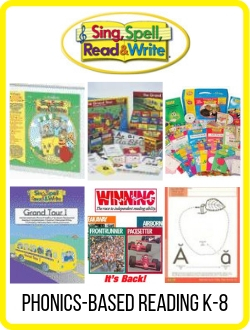 For younger children, there is the Early Reading Comprehension series. Each book includes pre-tests, post-tests, and an answer key. The books in this series are reproducible for single-classroom use. Reading Detective series is a secular curriculum; we believe that it is up to parents to guide their children as they use it. 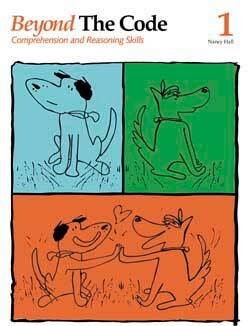 Reading Detective Beginning has 52 readings with comprehension and critical reading questions. It covers seven skill units: inference/conclusion, vocabulary, story elements, main idea/themes, cause/effect, prediction, and mixed skills. Most of the questions are short answer or multiple choice. Each book has a teacher overview with basic information about the course. Reproducible for up to 35 copies per page per year per homeschool or single classroom. 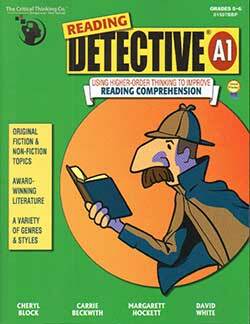 Reading Detective A1 has 50 readings with comprehension and critical reading questions. 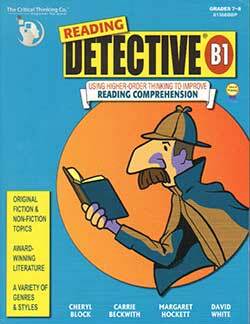 Reading Detective B1 has 51 readings with comprehension and critical reading questions. 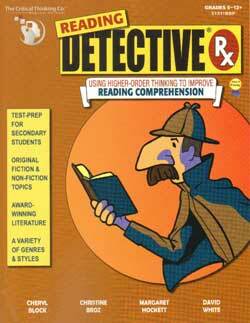 Reading Detective Rx has 44 readings with comprehension and critical reading questions. Topics include relevant social and peer issues, career prep, and other pertinent subjects for secondary students. Reading Detective® is a registered trademark of the Critical Thinking Company.